“Business is easy. It only gets messy and difficult when you add people to the mix.” That thought has come to me many times over the years. And I have expressed it out loud, half jokingly, many times, over the years. But from time to time we observe or experience teams and organizations that spend substantial time creating and unsuccessfully addressing people problems. There is aligned, constructive conflict and then there is wasteful, counterproductive or even destructive conflict. The latter can not only be financially wasteful; but it can also generate stress, anger, frustration, resentment; waste time; and contaminate the culture. This type of conflict needs to be prevented, eliminated, or at least minimized. And that starts with being able to identify it, and its cause. 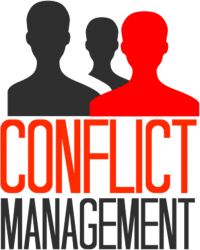 Please check out this HBR piece that presents the scary financial drag of interpersonal conflict, 5 behaviors that can cause it, and possible remedies. I hope it helps you and you and your business improve performance to improve results.